“I’ve put in a few suggested approximate keys – all of it can be messed with. 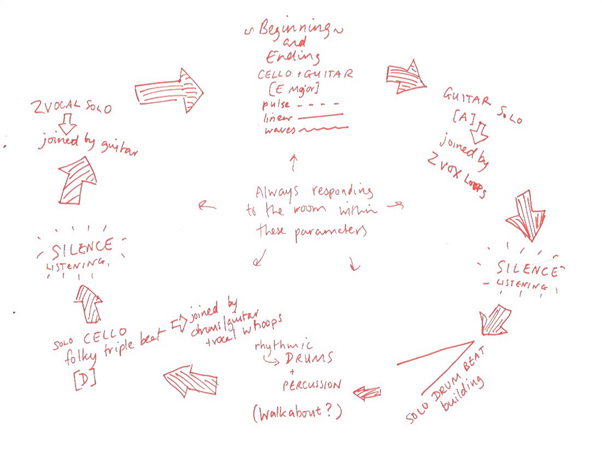 I’ve tried to make a symmetrical / circular score because the session always feels like that to me. Each section length will be judged by us in the moment. Also, it’s fine to just stop everything and listen, if it feels right. I’ve included two times when we do this but there might be more.” Zoe Gilmour, musician.